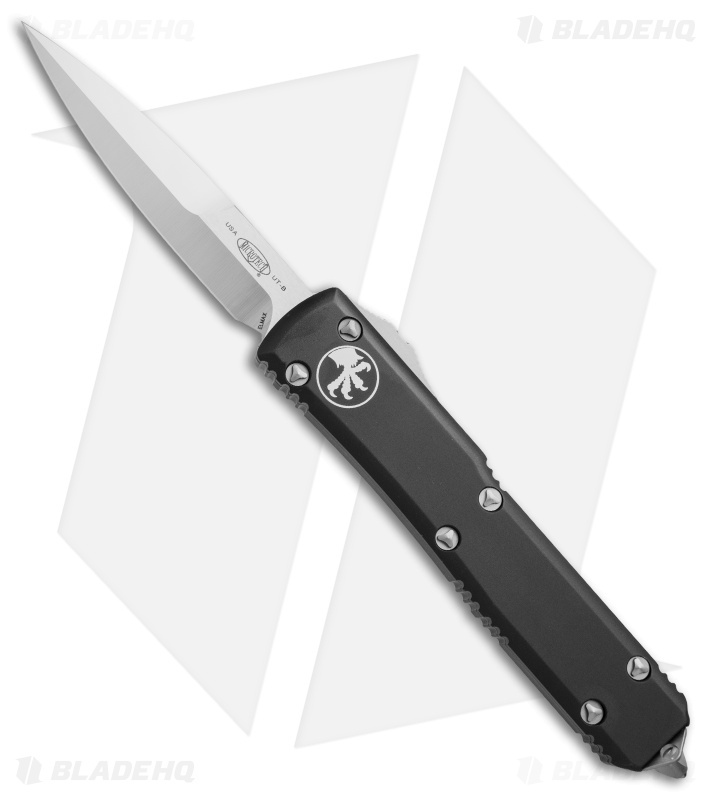 This Ultratech features a bayonet blade with a satin finish and plain cutting edges. It has a contoured, black 6061-T6 aluminum handle with a bead blast finished pocket clip, glass breaker, and stainless steel hardware. 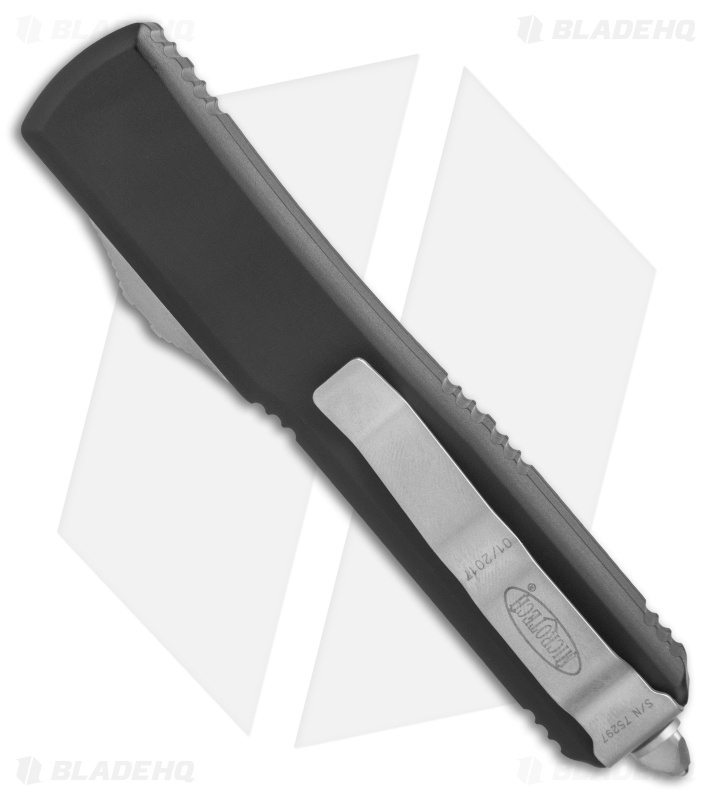 For those unfamiliar with the Ultratech, it's a fully automatic knife with a double-action out-the-front mechanism, meaning the thumb slide deploys the bladeand retracts it as well. 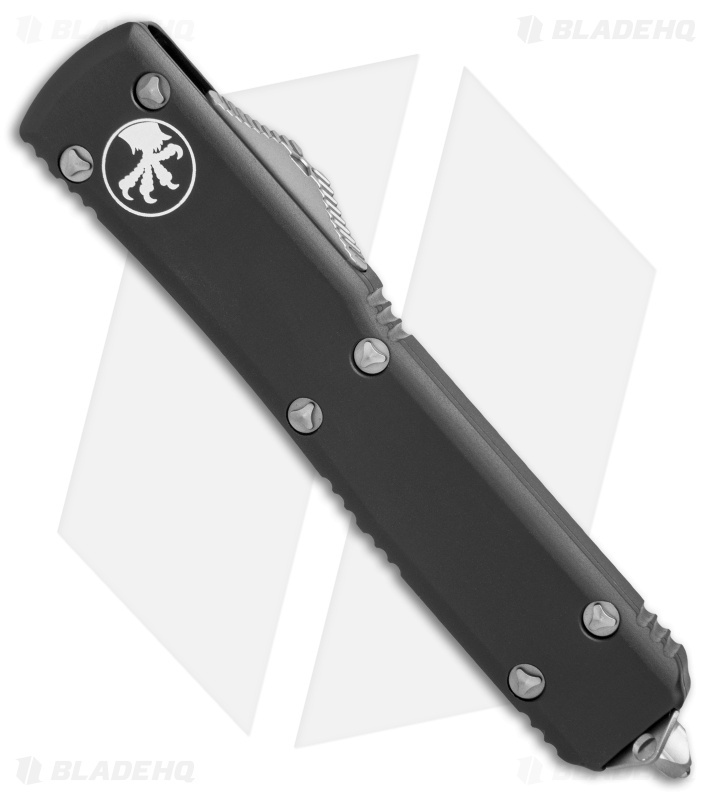 The Ultratech knife from Microtech has set the bar for all OTF knives. I got this knife to be used as an alternative to my Benchmade Pagan. First and foremost, I love the slim design with the side mounted firing button. Like most people who review this knife the action is snappy with little blade play. I'm left handed so I had to switch the side where the clip sat. I carry this work daily in my office because it's a very unassuming and non-intimidating knife that means all business once deployed.